Glass mosaic tiles can give your master bathroom and kitchen a fresh look. Explore home remodeling magazines to see how these tiles are installed in the bathroom and in the kitchen. Look at mosaic tiles in the custom home models in your locality because you will be astonished to see the natural look of the mosaic tiles. These tiles are more suitable in backsplash in your kitchen and bathroom. The tiles for the backsplash can be installed in a matter of days. You can easily install mosaic tiles by reading this review. To install the tiles, follow these steps. 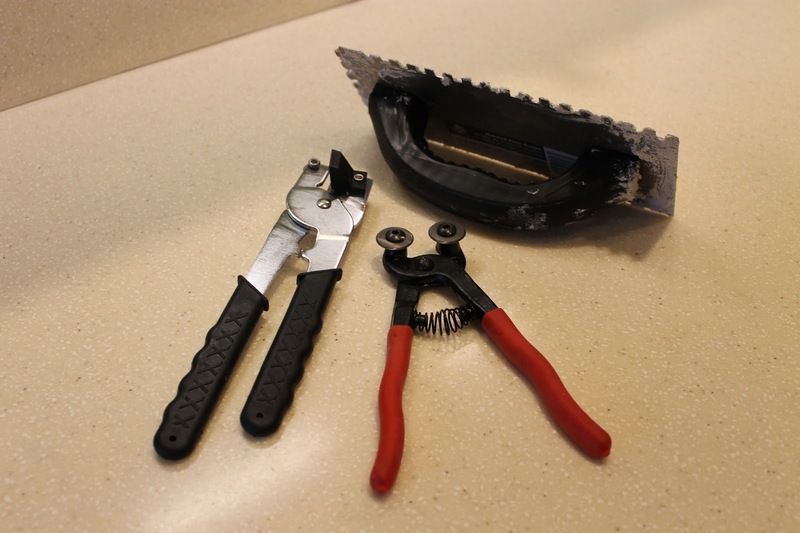 Important instruments needed to install glass mosaic tiles Glass tiles, Tile cutter, sandpaper, non-sanded grout, safety glass, pencil, spacers, a trowel and bucket. ◎ Mosaic tiles The tiles for backsplash are available with a variety of color and size. Before buying the full box of tiles, check the quality of the tiles from the internet. It is easy to collect sample tiles from an internet shop. To find the best tiles for your home, review some home remodeling magazines and visit a reliable online shop. The glass mosaic tiles are available in the range of 2″ x 2″, 4″ x 4″.